Microsoft has a small obsession with innovating in the living room, so it should come as no surprise that its research arm continues to plough forward with a 3D browser. 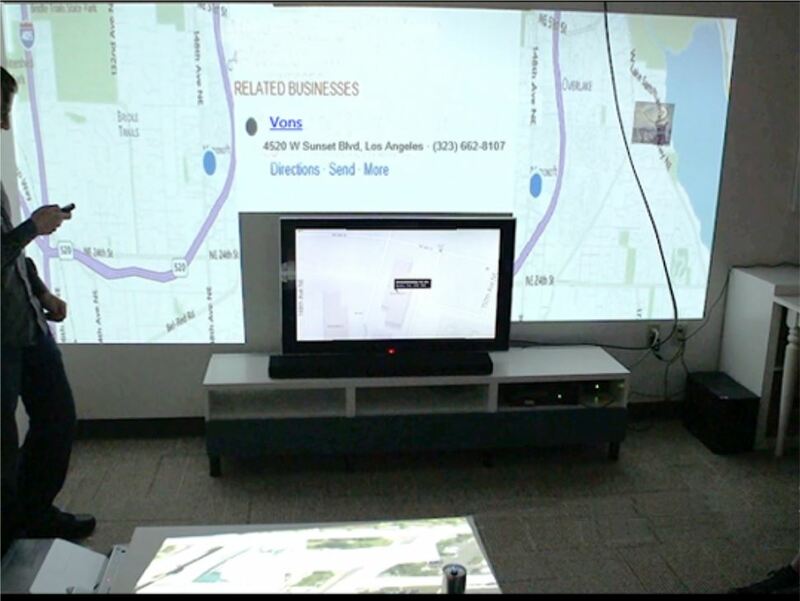 Called SurroundWeb, the prototype allows Web pages to display content across multiple surfaces in a room. Microsoft Research has essentially taken the idea from the gaming world and applied it to the Web. The latter is arguably much more difficult to achive as games are much more static than constantly-evolving webpages. 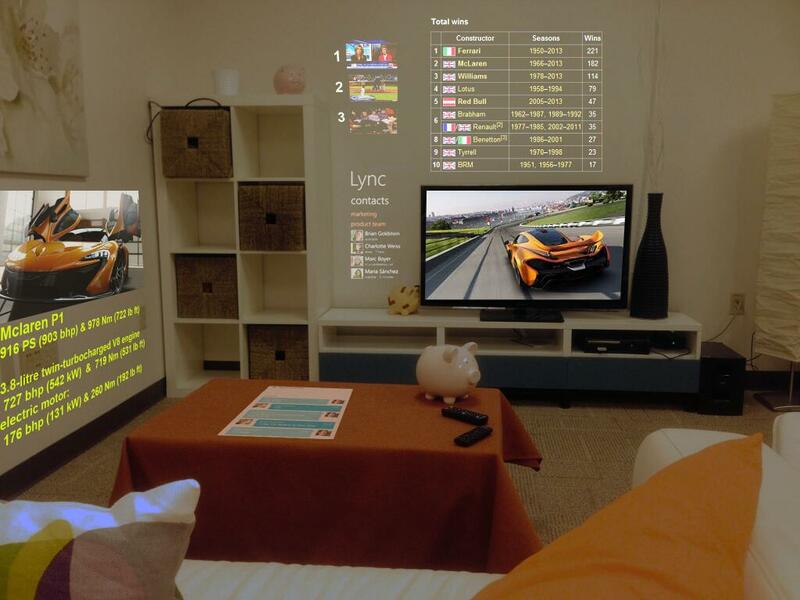 We introduce SurroundWeb, the ﬁrst least-privilege platform for immersive room experiences. 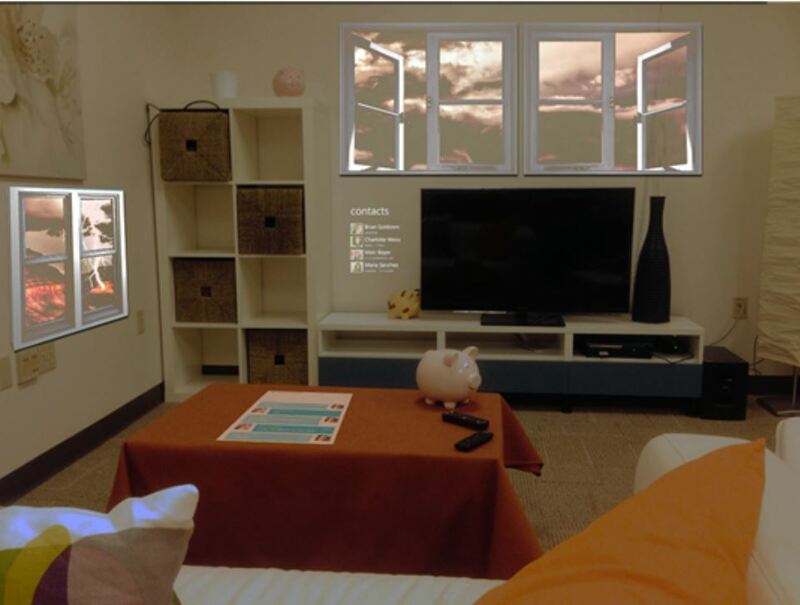 SurroundWeb is a “3D Browser” that gives web pages the ability to display across multiple surfaces in a room, adapt their appearance to objects present in that room, and interact using natural user input. SurroundWeb enables least privilege for these immersive web pages by introducing two new abstractions: ﬁrst, a Room Skeleton that enables least privilege for room rendering, unlike previous approaches that focus on inputs alone. Second, a Detection Sandbox that allows web pages to register content to show if an object is detected, but prevents the web server from knowing if the object is present. SurroundWeb provides three privacy properties: detection privacy, rendering privacy, and interaction privacy while simultaneously enabling Web pages to use object recognition and room display capabilities. Surveys show the information revealed by SurroundWeb is acceptable. SurroundWeb is practical: After a one-time setup procedure that scans a room for projectable surfaces in about a minute, our proto- type can render immersive multi-display web rooms at greater than 30 frames per second with up to 25 screens and up to a 1440×720 display. We demonstrate a range of previously proposed and novel experiences can be implemented in a least-privilege way using SurroundWeb. You can read the full 16-page paper below.